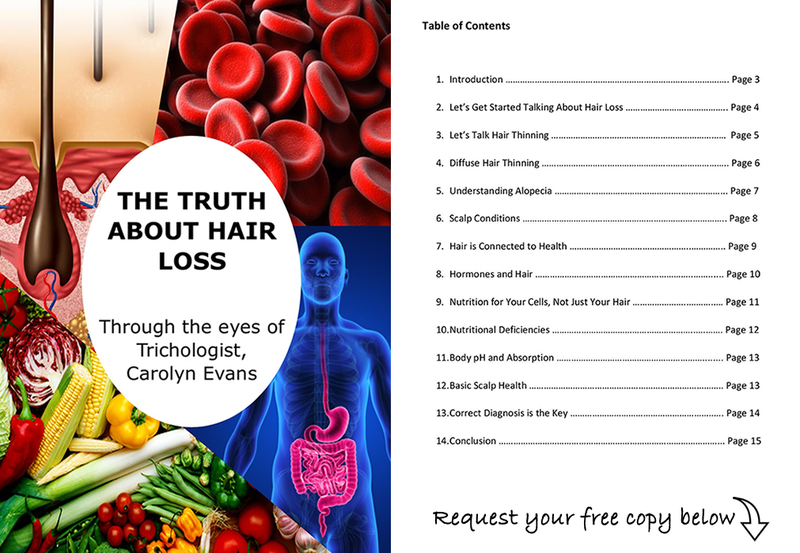 We would like to present another demonstration of how addressing both symptoms and causes with a natural hair thinning treatment approach can prevent further hair thinning and deliver positive results. Ms D was concerned about the hair thinning particularly showing in the typical pattern of hair thinning. 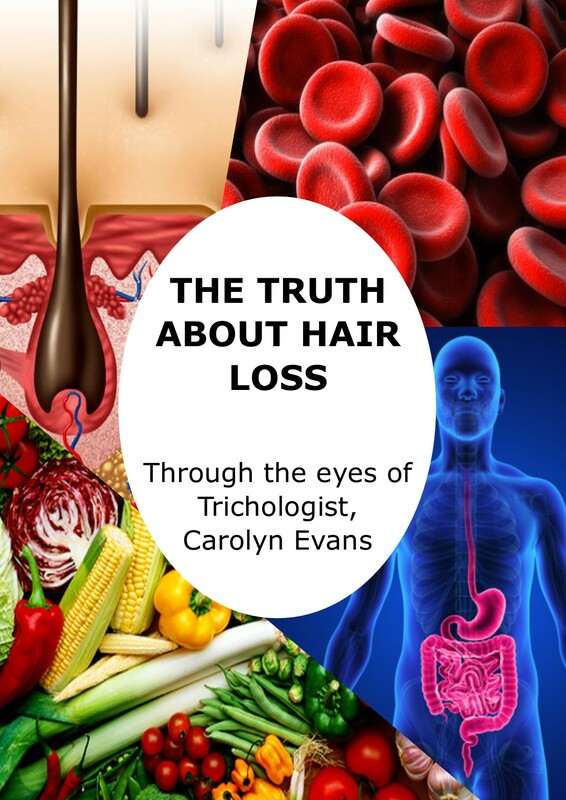 Microscopic diagnosis found the hair cycle was not functioning at optimal as well as presence of vellus and transitional hairs related to pattern hair thinning. The main objective was to prevent any further hair thinning. Health and lifestyle were checked and discussed. We had a very rare, very healthy individual aware of pH balance and creating whole food from scratch. In a healthy individual, simple topical hair thinning treatments are all that is required to make a few scalp changes for simple hair thinning treatment. 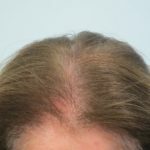 We provided a plan to follow suggested hair thinning treatment three times a week for a four-month time frame. Digital images are used for tracking before and after in the first four months. Digital tracking clearly demonstrated not only prevention of further hair thinning but also hair re-growth in the areas of concern. We were all very happy with this result and have now provided a maintenance plan for the next four months to achieve further improvement. 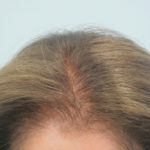 Maintenance hair thinning treatment will always be easier than the first four months whilst still delivering a result. Absolique hair thinning treatment plans are based on your individual hair concerns and level of health. Please also remember hair thinning is not directly age related. The results we share here are from a very healthy, vibrant, early 70 something years young, lady. It is never too late to seek hair help. Contact Absolique Hair Health Clinic for more information about Women’s Hair Thinning Treatments. Call us on 07 3229 3242 or email Absolique Trichologist at info@absolique.com.au to share your hair loss or hair thinning concerns.